Stingrays, live frogs, chickens complete with heads -- nope, not a nature center, but a newish Asian market. For those who aren’t squeamish and like to get a little weird. Also, don’t miss the short ribs. For when you need a whole beef leg trimmed perfectly and cut into shanks; and you only have 10 minutes to get it done. 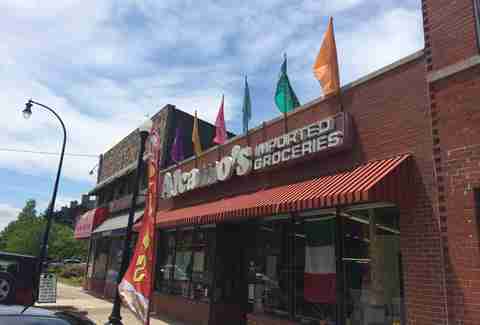 Alcamo's is the market that your Italian grandmother would recommend, complete with all its hustle and bustle and experienced patrons that know exactly what they want. With cured meats hanging from the walls, you may wonder what kind of “chooch” would shop anywhere else. This family-owned mini franchise operates four stores across the metro region, including a slaughterhouse in Eastern Market: a genuinely excellent place to purchase veal or lamb. Give us liberty, or give us steak. Though honestly, if it’s from Boff’s, which is famous for having some of the best cuts in town, we’ll probably settle for the steak. Stuff yourself like a cabbage, until your jeans fit like a sausage casing, and call it kapusta! For those times that you crave ostrich stir-fry or some bear loin, and nothing else will suffice. REAL. MEXICAN. FOOD. Good news, amigo -- you’ve just been teleported across the border. ¡Chicharron, barbacoa y chorizo! Oh, and you can eat some fresh al pastor tacos as you wait in line and soak it in. 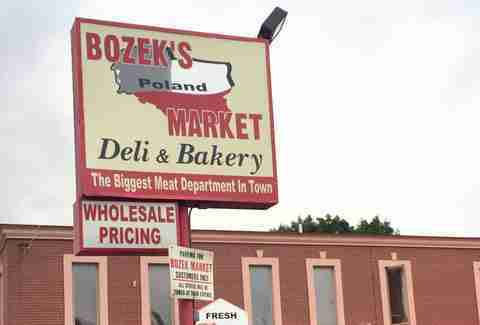 THE place to buy a roasted goose in the metro Detroit area. Where all manner of beef, chicken, and lamb is cut on a band saw and served on sticks. Consistently touted as the best place in metro Detroit to purchase the divine trio of tawook, kafta, and kebab, you can have them grill it there or bring it home and taunt your neighbors by doing it yourself. Venison smoked ham, venison steak, venison sausage -- any sort of deer product you need can be obtained here. Worth the trip up into the lake country where every road seems to stop abruptly at a body of water. 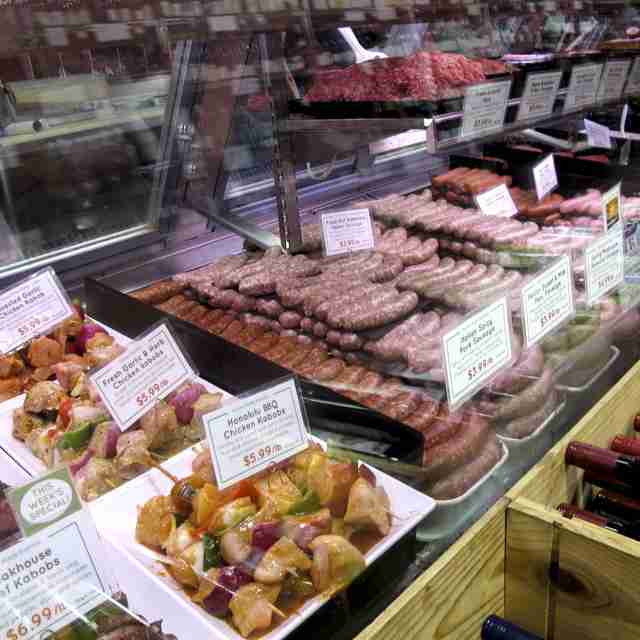 Outrageous selection of all the obvious stuff, but also the best place in town to purchase Cajun andouille sausage. They’ll cook it up for you, or send you merrily on your way with any number of sea creatures to grill up. They’ll cut it up however you like. If you’re wondering where to go when you are in need of an entire goat leg, search no further. Known for its brisket, meatballs, and turkey, this is the place to go for your Shabbos meal needs. 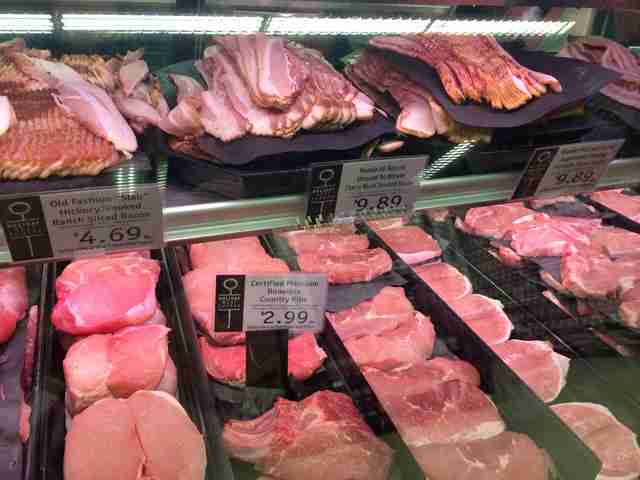 If you know what’s good for you, this is where you go to purchase the flesh of naturally raised, local meats. It’s well worth a trip to the East side. For those who operate under the motto, “You get what you pay for.” This is a higher-end market with possibly the best bacon selection known to man. 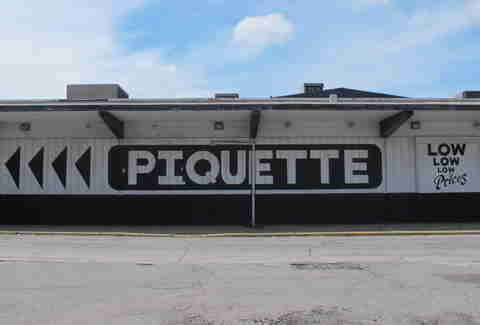 We’d be remiss not to mention a Detroit favorite. Known for its earth-shattering guacamole and salsas, Honey Bee also offers a number of Mexican-style marinated meats. We recommend the marinated split chicken thighs. Your grandmother may refer to the joint as Richard’s -- as nearly everyone is on a first-name basis here with the owner. Pierogi, hunter sausage, and house-smoked kielbasa are among the specialties you’ll be tempted with in this old-school market. Once upon a time, this shop was a Polish bakery. 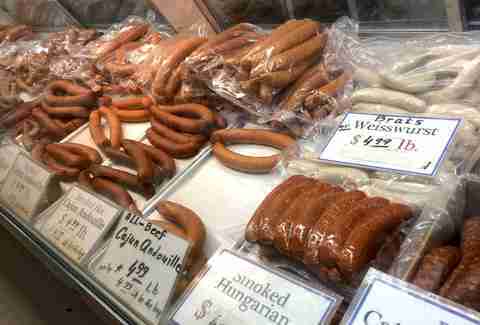 The cases that once displayed wedding cakes and angel wings now hold Hungarian kielbasa that you’ll want to marry and jerky and beef sticks that will make you want to cheat on said kielbasa. Seafood, duck heads, chicken feet, and all the exoticness you need to recreate the Orient in your kitchen. 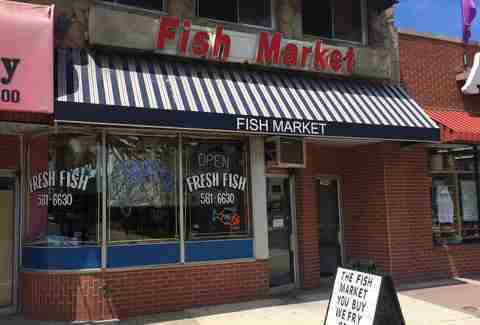 Another great place with a great selection and an even better domain name, www.gomeat.net, you know this market has its priorities straight. Another old-timey spot geared toward the Italian palate, you’d be doing yourself a disservice by not trying Mario’s ribeye. Come here for the wings and leave with the short ribs... and probably lots of other stuff thanks to it's outrageously good prices on shrimp, strips, hot dogs, fish, and anything else you’d like to fire up in the backyard. Seriously, its URL is www.meatdeal.com, which really says it all. Meatophiles should make this a stop if only to marvel at the chunks of imported Italian prosciutto and house-made fennel sausages lining some of the longest meat counters in metro Detroit. An excellent place to shop when preparing ethnic specialties. If half a goat is what you seek, half a goat is what you shall receive. Anybody who says the East side has no taste has never been to Schott’s. It’s one of the few places around where you can purchase a turducken to prepare for Thanksgiving dinner. That’s worth a mention alone. Sometimes you want to go where everything is smoked and nothing is health-conscious. During such times, Srodek’s is a delicious option. Expect to be greeted with a dozen smiles and complimentary coffee at this specialty market that Mr. Rogers would have loved to stroll through. 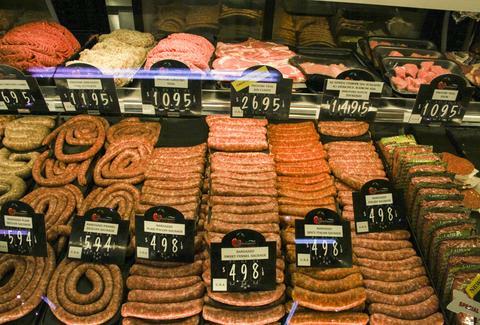 The real charm here lies in the meat department where you can find fair prices on high-quality cuts, locally raised beef, Amish chicken, handmade sausages (such as hot & spicy pork and chicken, feta with spinach), and juicy kabobs. You’ll not find superior-tasting corned beef within driving distance, and they’ll even tell you how to cook it.